Use Seidat Live share for presenting in inside sales and other remote meetings. No installations, no hassle needed. To present remotely through Seidat Live share, all you need to do is to create and share a Live link to your Seidat-presentation. To open the link, your client won't need to download or install anything or login anywhere. The slides change in real-time as you browse through the material and the conversation can be held over the phone. Easy as that! As Seidat Live share does not require a third party screen-share it takes a lot less data connection to run. The slides change faster and there are no freezing screens or faces. The presentations keep their great image and text quality and there is no need for separate video links. The videos can be embedded straight on to your presentation - and directly to your audiences' screens! You never know when a presentation may be needed. Having your presentations online and up to date, available on any device, means you're always prepared. Seidat Live share presentation link can also be sent in a text and presented to your customers' smart phone. That's pretty handy! Different audiences need different presentations. 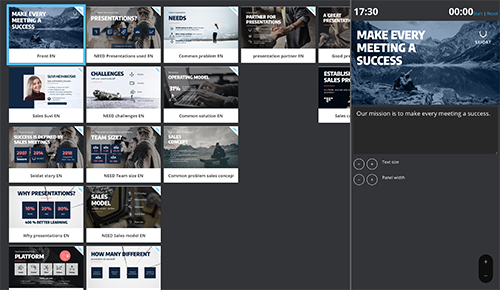 In Seidat Live share mode you can pick and choose each slide you show and/or edit the material while presenting without your audience noticing. With the innovative matrix navigation of Seidat, you can easily tweak your presentation to fit the circumstance - on the spot. Step through the top slides for an elevator pitch, dive into more detail or utilize internal links for even more control. Before and/or after your meeting, it is easy to share your presentation or offer by a Seidat Link. There are no mail attachments or downloads needed. 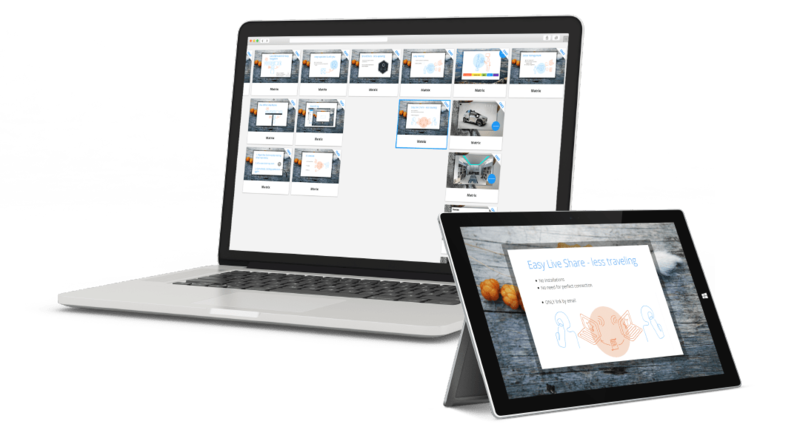 Sharing your presentations by a Seidat link is secure and controlled. You can edit the material afterwards and/or delete the link if it is no longer needed for the recipient to access the material.